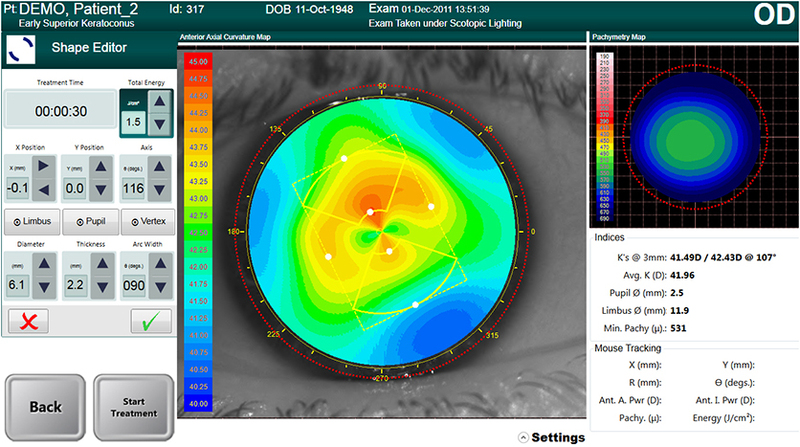 EP&A handled Software Specification, Design and Implementation of the Corneal Cross-Linking Treatment Planner for Avedro's KXL-II Instrument, a new Ophthalmic Instrument for accelerated corneal cross-linking. • A graphics-based Interactive Treatment Planner & its Printout & PDF EMR record. We utilized C# to match the look & feel of out client's pre-existing software, and C++ to implement performance-critical code. The KXL-II instrument is currently undergoing clinical trials.